Below you’ll find a number of high quality testing tools, essential for all plumbing works, and all available at our most competitive prices. 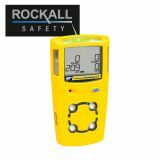 Rockfall’s Gas Alert Microclip has been designed as an affordable detector of atmospheric hazards, mostly the presence of dangerous gases. It provides constant visual confirmation that it is operating with an intelliflash feature, and is simply operated with a single button to detect multiple gases. This decreases training times, and reduces the potential for user error. The Gas Alert Microclip is also water resistant, with a compact and lightweight design,and a built-in concussion-proof boot to make it durable and harder to break. 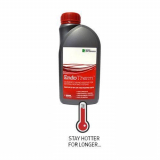 The PlumbPad is used to absorb leakages, and a single 44cm x 19cm pad is more absorbent than a whole roll of kitchen towel or a bath towel, absorbing and locking in up to 2 litres of water. The PlumbPad can be used to mop up puddles of fluid, or catch dripping water from pipes, and will lock the water or fluid in as soon as it comes into contact, meaning that carpets or flooring underneath will not be damaged. 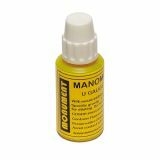 Manometer fluid is a dyed liquid that is used in conjunction with a manometer, to measure the pressure of a contained gas. As the pressure increases, the liquid in the U tube of the gas test gauge moves, and the manometer fluid makes it easier to identify the level at which the liquid is at, to get an accurate reading.